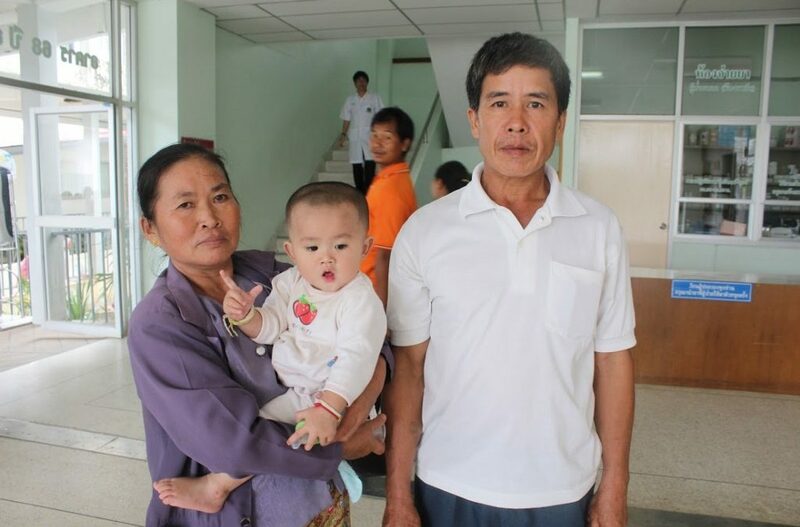 Daungkaew with her grandparents at admission in 2012. Daungkaew Namwong was the only child born to her parents, Lan and Ee in Myanmar. After separating in 2012, Daungkaew’s parents left her in the care of her grandparents in Mae Sai, northern Thailand. 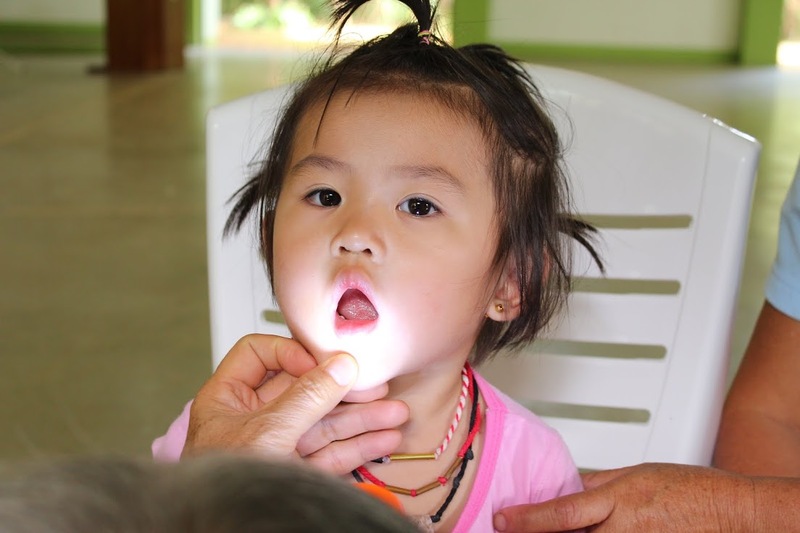 Here, Daungkaew is enrolled in pre-kindergarten at a local school and receives cleft care at our partner institution, the Northern Women’s Development Foundation. Daungkaew was admitted to our project in January 2012, had her cleft palate repaired and ENT assessments one year later. She attends regular assessments to monitor her development and overall, is progressing well. 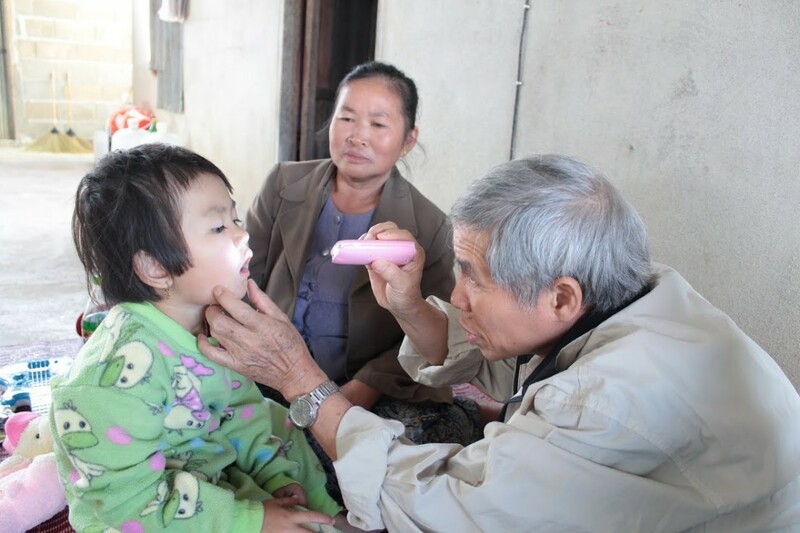 Now a shy but happy 3-year old, Daungkaew continues to receive care through NWDF’s mobile speech therapy and oral hygiene camps. Her grandparents, who earn roughly $1,150 per year, are thankful that community-level services are available since travelling to the hospital in Chiang Rai is costly and difficult given their migrant status. Daungkaew attending NWDF’s mobile speech and dental camps in 2013 and 2014. Between November 22 and December 1, 2015 (GivingTuesday), we are asking for donations of $10 or more to fund the cost of surgery and rehabilitation for 10 more children. Get into the spirit of giving and help #TransformTen today!